It was not unusual for an Indigenous family to contribute more than one of their members to war – families like the Lovetts from Victoria, the Farmers from Western Australia and the Maynards and Mansells from Tasmania were just some of those who did do so in World War 1 and in later conflicts. In New South Wales the Lock family, Darug people from the Sydney basin, and the earliest to suffer the trauma of invasion and defend their land, did not hesitate when it came to fighting for it again in the 1914-1918 war. Amongst the names on the St Marys War Memorial are O, LJ and J Locke. 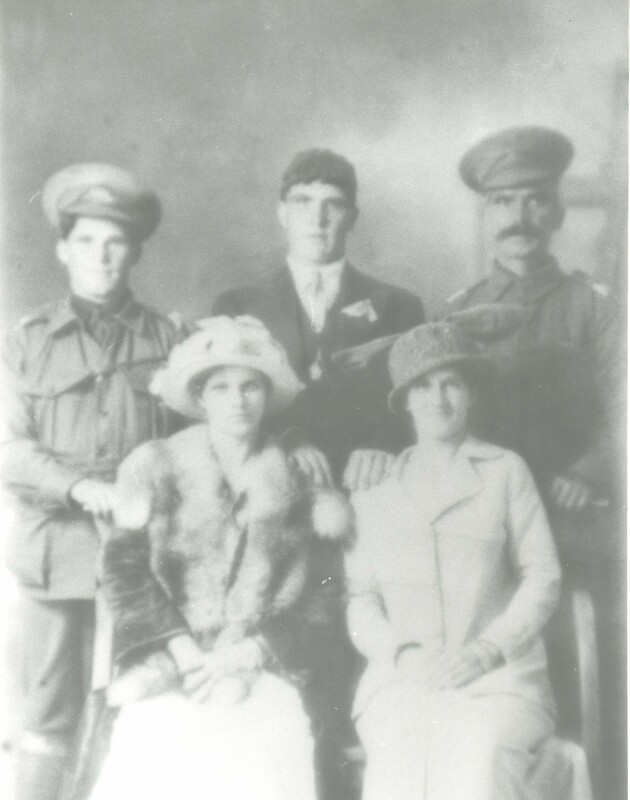 These men, Olga Cecil, Leslie John and their father Jerome Locke were just three of the nine members of the immediate Lock(e) family to volunteer for the Australian Imperial Force or AIF. In all twenty one members of the Locks and their extended family are known to have volunteered for service in the World War One and most served overseas. All were grandsons or great grandsons of Maria Lock, a daughter of Yarramundi, chief of the Boorooberongal clan of the Darug. Included in their number were some of the first to enlist in 1914. Members of the family fought at Gallipoli, the Somme and Flanders and in Palestine and Egypt – in infantry battalions, tunnelling companies, veterinary sections, camel corps and light horse regiments. 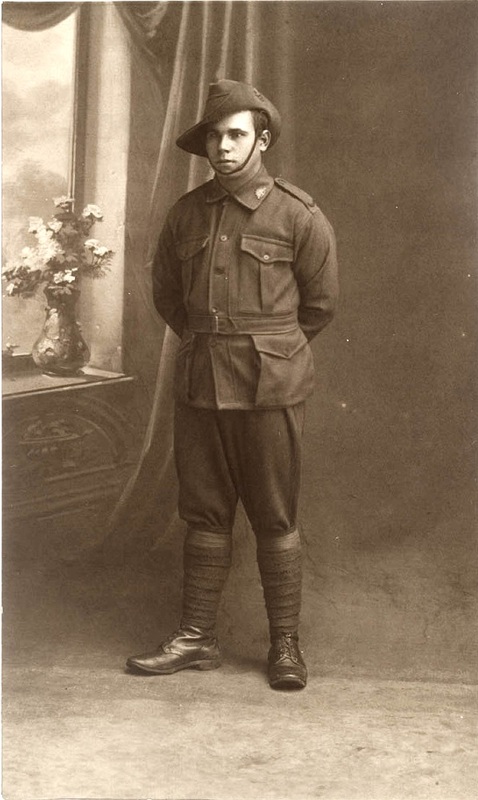 What differentiates the contribution they made is its context – the fact that the constitution of their country discriminated against Aboriginal people on grounds of race and that regulations, not always uniformly applied, prohibited men not substantially of European origin from serving in the AIF. The Lock Family in World War One: how service records contribute to Darug History uses records held by the National Archives of Australia and the Australian War Memorial to describe the service of the Lock volunteers, their immediate relatives and others connected to them. These include men from the Anolock, Barber, Bolton, Castles, Everingham, Morley, Punton, Sims, Smith and White families. As well as a record of war service, the documents contained in the service records are a valuable source of family information and have a contribution to make to Darug history. This is illustrated in The Lock Family in World War One, which in addition to extracts from the records themselves also includes photographs of the men and their families. Although concentrating on one family the book shows the value of records of service to all families and communities who contributed their men to war and the potential these records have for uncovering unexpected or lost information about a family group. 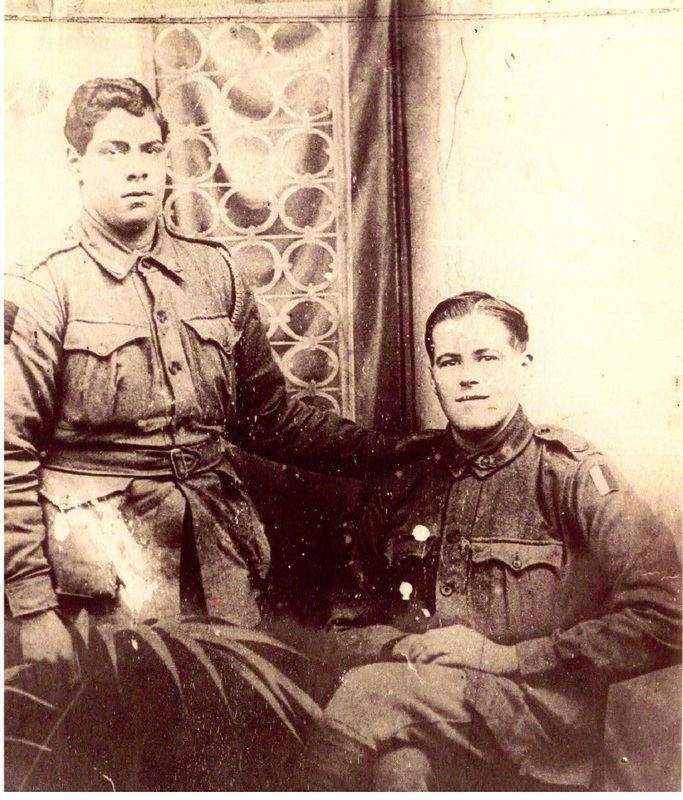 My great grandfather Albert Reginald Gidney left Sydney in 1914 aged 20 he sailed on the SS Hawksbay he was in the 13th light horse, he was a aboriginal young man, he was born in Sydney I would like to find where it states he is aboriginal in his war record I would appreciate any help. Thank you for your comment and for alerting me to your great grandfather’s service. I looked at Albert Reginald Gidney’s service record on the National Archives website. It has no reference to Aboriginality or anything which would suggest it. However this is not unusual and the Attestation form did not ask any questions about race. I have emailed Andrea Gerrrard 3 times asking for help with regards to my great grandfather Albert Reginald Gidney but I have not had any response from Andrea, I can understand that at this time of year she may be busy and has just returned from holidays but a email from Andrea would be great just to let me know if she has found any information could you please let me know if you find any further information other than he was a Tasmanian aboriginal man. I still have not had any contact from Andrea or yourself I do realise you both would be busy but I am anxious to find more information with regards to my aboriginal roots, this is very important to me and to my children to know where we come from and where we belong. I look forward to hearing from you in the near future. Hi Phillipa, Any movement on this?, where were you able to to find that his Aboriginality comes from Tasmania? I would be extremely interested to know as well. Thank you very much. I passed his details to Andrea Gerrard UTAS but nothing new has come up. What is your own interest in this soldier? Hi Phillipa, This is my Great Great Grandfather, Deborah is my Aunty, I have been trying for some time to get more information! Thank you for passing it on to Andrea, I hope she will contact back shortly! Thank you very much! Hi I’m wondering if someone can help me with my line of decendants? I started looking into my Dharug ancestory about 10 or so years ago , i got confused & Distracted & have since lost all info. My grandmothers married name is F Harris, her mother was Dorris settre/settree. (Unsure on exact names as they seem to change hence why i was confused) my father is S J Harris. I may be able to provide a little bit more info if needed. Any help will be greatly appreciated. Died aged 22 years – hole in the heart. Thank you so much. I have been trying to find the info all night. Yes the book is good but does need correcting ( step children were put into the nook when they have no connection what so ever) & it needs updating. Just looking at what you posted there are 3 devorces. Kim dieghten is not my mother but was step mother, theirs since been more marriges & more births i have 4 cjildren to add & my brother & sisters have 8 between them.i was lost with some names i did come across some names but wasn’t sure as i couldnt find my nanna or great nanna. described himself as in ‘a very bad way just now’ in a letter to the military authorities. Laura Bolton, whose second marriage was to James Rutherford.